We were looking at unmortgageable properties for last week's Finance Fridays. For this week we're moving away from buildings and onto shopping. Today is Black Friday and the retail madness has already started. Black Friday comes from the U.S. It falls each year on the day after Thanksgiving which is on the fourth Thursday of November. Throughout the U.S many offices and schools have both the Thursday and Friday off plus the weekend to make it a four day holiday. With it falling about a month before Christmas it is now seen as the perfect opportunity to entice people to start their Christmas shopping with a range of offers. The retail phenomenon of Black Friday arrived in the UK a couple of years thanks to a combination of U.S owned retailers such as Amazon and the Walmart owned Asda, and also the need to boost trade in the retail sector. This year it seems Black Friday has been lengthened to 'Black Friday Week'. Not only does this extend the deals to encourage more spending there are also more practical reasons. If Black Friday is just for one day it can lead to websites going slow or even crashing through the amount of traffic. For those wishing to physically visit a shop Black Friday in the past has seen situations where the police have needed to be called due to clashes between customers. - You may have already purchased some items this week that have been discounted. Before you buy anything else think whether you actually need that item. You've only saved money if you were going to buy that item anyway. - Check the specifications of what you are buying. 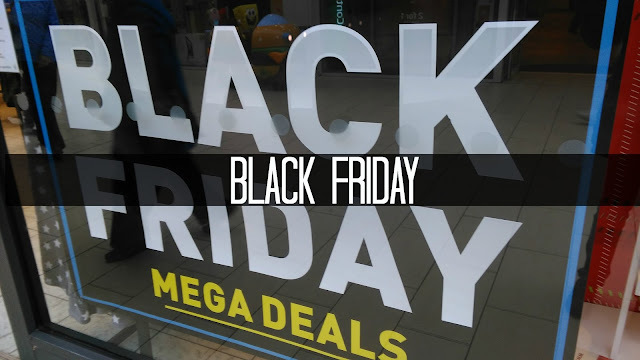 Some goods are bought in specially for Black Friday and the low price is due to it being a lower spec than models that have previously been on general sale. - If you think you do have a household item such as a washing machine or freezer that is about to give up do look at the deals this week but bear in mind some prices aren't the lowest they have been. Make sure you shop around to find the best price as a 'star' buy at one shop could still be more expensive than elsewhere. - Can you get a refund? Most retailers have a refund policy if you decide you don't want the goods any more and they haven't been used. However, if the goods aren't faulty they aren't obliged to refund you and some may have different policies for goods bought during the Black Friday period. These could be refusing all refunds (unless faulty), exchanges only or shortening the time period to get a refund. Have you bought any Black Friday deals this week? Are you tempted to do some extra shopping? If you want to join in with this week's Finance Fridays then add your link to the linky below. Any post concerning financial matters is allowed. Full details here. It doesn't have to be published today as you have until 23.55 on Tuesday 29th November 2016 to join in. Some good tips here. This year was the first time we have every bought something on Black Friday. We needed a new Tv, and found one that seemed like a pretty good offer! Great advice and would apply similarly to the January Sales. I'm one of those weird people that hate shopping so unless I have something I really need I won't even browse the deals on offer. Fab advice. We didn't purchase anything on either of the days. We have been pretty tight with money and now my car is caput!